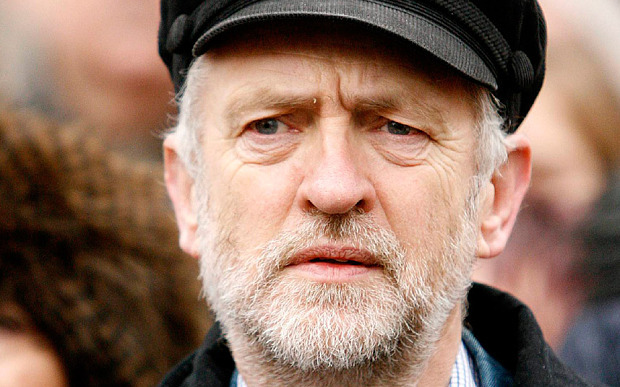 Jeremy Corbyn has come under unprecedented criticism over the last few months. Himself and his family have been persecuted by the media, he’s been called a number of nasty words and he’s been accused of basically everything under the sun. I’m here to set the record straight. Let’s begin with the problem many people have with him. He’s a terrorist. People believe this because of comments he made about Osama Bin Laden in which he said his death was a tragedy. This is, in fact, completely incorrect. He highlighted the fact that he believed everyone deserves a fair trial and that maybe if he was taken alive this could have happened and he may have provided some useful information. It has also been reported that he has links to the IRA. The links he has is that one of his friends were part of the IRA. If he is somehow a terrorist because of this, then why isn’t David Cameron, who is best friends with the Salman of Saudi Arabia, a king who executes anyone who disagrees with his regime and supports terrorist groups such as ISIS. On the subject of David Cameron, he called all of those who voted against air strikes on Syria a “terrorist sympathiser”. Apart from the fact that these comments are completely false, they are also demeaning to the office of the Prime minister. He was given the opportunity to apologise on over a dozen occasions by a number of MP’s (including Jeremy Corbyn) during the debate on air strikes on Syria, a on every occasion refused to do so. The fact that he also has the cheek to call others terrorists when he was part of the allied coalition that helped found ISIS and is now dropping bombs on innocent civilians in Syria is unbelievable. The next criticism that is often hurled at him is that he is dividing the Labour party. This claim is usually made by Labour MP’s. What is strange is that the ones saying that he is the one dividing the party are the ones who are actually dividing the party and, in turn, ignoring the huge mandate he has as Labour leader, showing complete disregard to the members opinion. In actual fact, Jeremy Corbyn has made Labour more open than ever before. He has brought democracy back to the party and has a diverse cabinet, both in ideological terms and in the usual sense of the word. The biggest criticisers of Jeremy Corbyn are the media. They don’t give him any breathing space. Of course it is the media's duty to keep politicians on their toes and expose any lies, the British media couldn’t be any more anti-Corbyn. No matter what he does, the headline the next day is screaming that he has done something wrong. For example, he has the first female majority in UK political history. The newspapers say that they’re are too many men in the top jobs. Another example is when he put a wreath of roses outside a cenotaph in London. The newspapers said that he didn’t bow low enough. Pathetic. A final example is when he didn’t sing the national anthem. He did this because he is a staunch republican and atheist. The newspapers said that he has no respect and he isn’t patriotic. However, if he had sung it, he would have been branded and hypocrite for betraying his beliefs. He simply can’t win. They also often call him a communist (he’s a socialist) and that he’s scruffy. What sort of a world do we live in that politicians are judged on how they look over their policies. Finally, Jeremy Corbyn has an impeccable voting record. It’s true that he has voted against the Labour leadership hundreds of times, but this is out of thousands. I also think than numbers don’t count, and the issues that he has voted for/against should he discusses. If we look at this, it is astonishing how many times he has been on the right side of history. He has voted for black rights, for gay rights, against invading Afghanistan and Iraq and helped free Nelson Mandela (while David Cameron was calling for his execution) among a number of things. Put simply, he has always been a man ahead of his times. Jeremy Corbyn stuck his finger up my bum!